Known as the “City of Lakes”, Amery offers their North Park RV Campground located in the heart of town, along the beautiful Apple River, and just an hour’s drive from the Minnesota Twin Cities area. 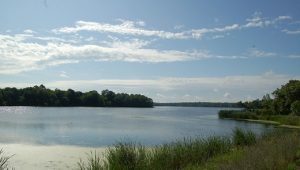 The RV campground is north of the Amery downtown area on Wisconsin Highway 46 opposite of the North Twin Lake Boat Landing. 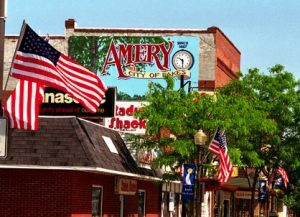 Whether you are an outdoor enthusiast, art aficionado, or foodie, Amery has something for you! 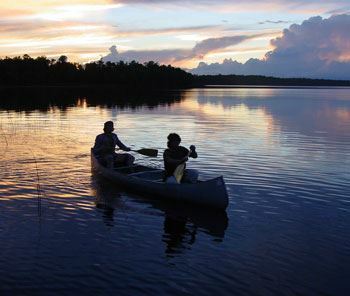 Activities include hiking, biking, boating, disk golf, fishing, ATV & 4 wheeling, and regulation golf course. • 8 Improved RV sites with 50–AMP service, water and fire ring. • Campsites are first come, first serve. Campers should fill out registration form at central park kiosk and post to chosen site. • RV sites are $25 per night. Cash, no checks or cards accepted. Place payment inside dropbox. • Campground is open for the year from Memorial Day Weekend to November. • Firewood can be purchased at a number of local area businesses. Please do not bring firewood outside a 10-mile radius to help the city limit the spread or introduction of invasive insects and diseases that are easily transported on firewood including emerald ash borer, gypsy moth, or oak wilt. • Please note: Limited camping access is available during second weekend of September and certain event weekends. Call to inquire about calendar of events. • Quiet hours are between 11 PM and 6 AM. • Maximum duration of stay is seven days. • Please be mindful of weather conditions. In the case of a weather emergency, you may wish to evacuate the campground. In the event of an emergency, call 911.